As one approached the entrance of SCA on the evening of Friday, April 28th, to enter Rhythms + Visions / Expanded + Live 3, they were met with a mysterious darkness, glowstick necklaces, and the subtle sound of beautiful music. The beige SCA buildings became canvases on which neon lights, dancing shapes, and colorful images projected, creating a surreal ambiance that seemed like a scene from a futuristic film. 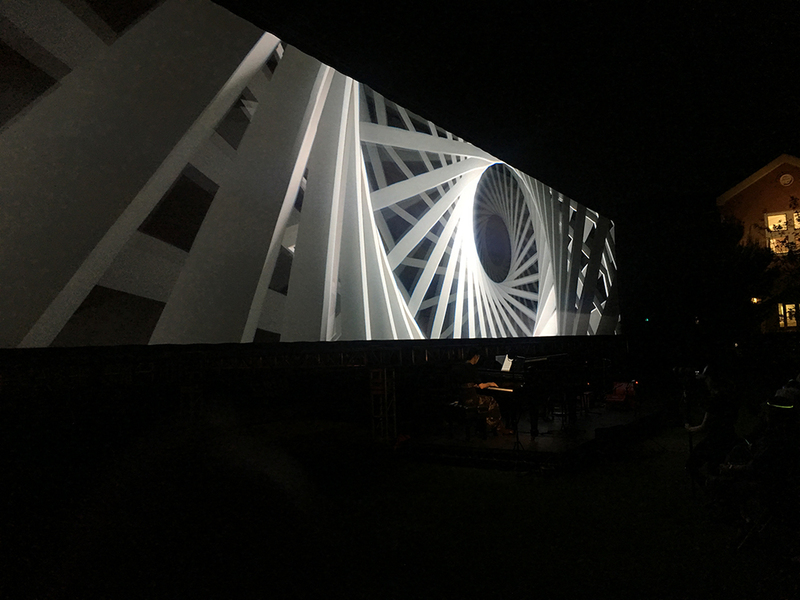 In the main courtyard, groundbreaking artist Refik Anadol, who has performed visuals with the L.A. Philharmonic at Disney Hall, created imagery on a super-panoramic 70-foot screen. The visuals played to live performances by Grammy Award–winning pianist Gloria Cheng and guzheng player Zi-Zhu Zhao. Patterson + Reckinger’s kinetic op-art abstractions were accompanied by toy piano trio, Thomas Feng, Alexa Constantine, Dante Luna. Music by composers John Adams, Esa Pekka Salonen (piano), Tristan Perich (3 toy pianos and 3-channel, one-bit electronics) and Pantawit Kiangsiri (guzheng) performed live. 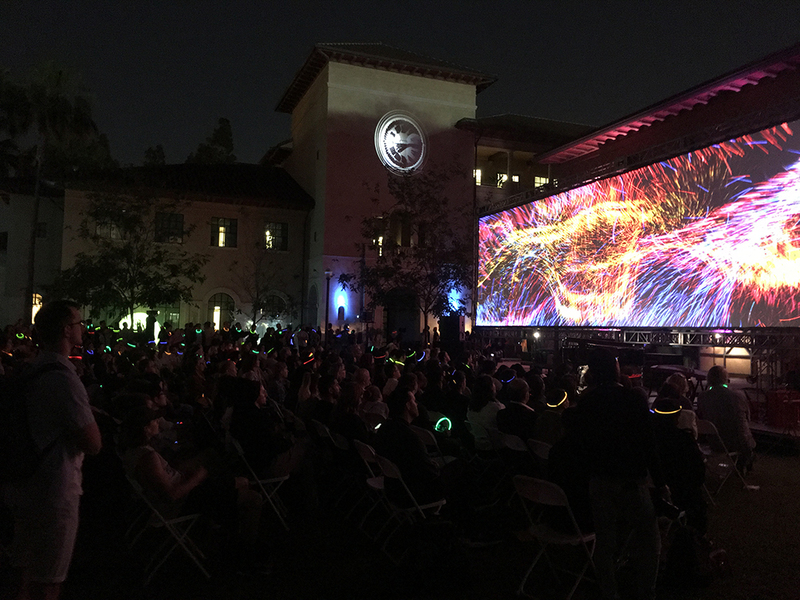 In addition, one of the SCA stages became a VR Visual Music Lounge filled with work by international artists as well as USC faculty and students. In a convention-like fashion, one could walk through and experience each project. 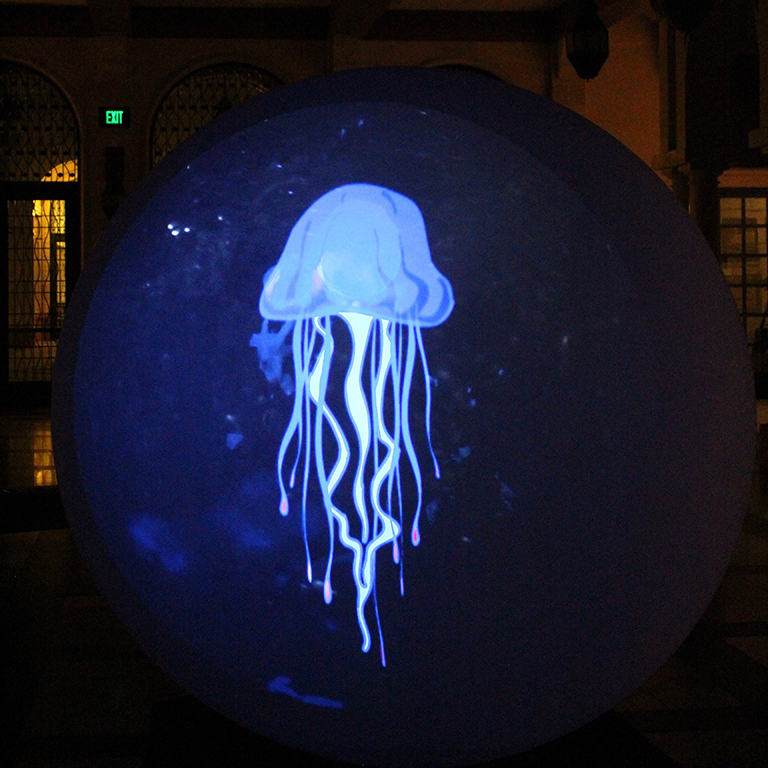 In one experience called “Blortasia”, one virtually ?flied freely through a surreal maze of evolving sculptures. While the person experienced the project, others stood by and watched the abstract images displayed on a screen. In the Interactive Media Building, screens allowed one to navigate images of the school, research projects, and various media experiences, showcasing the diversity and talent within SCA. 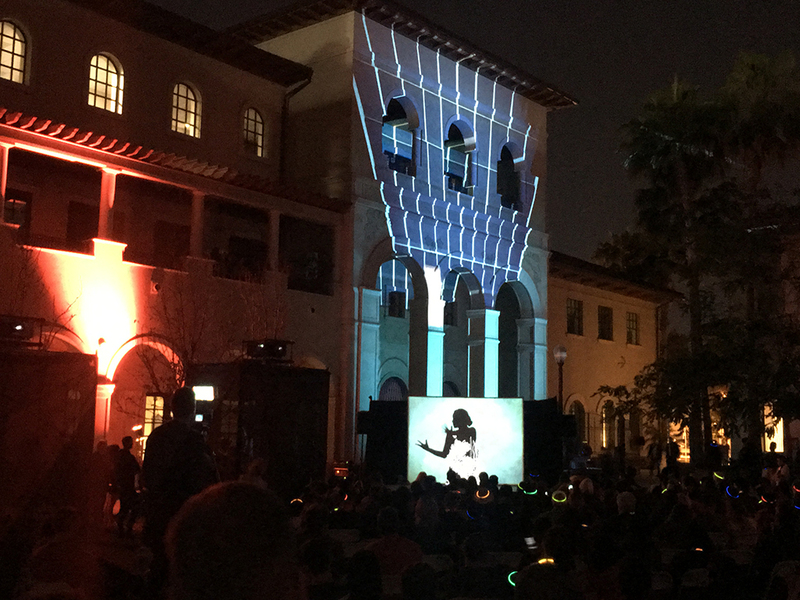 This colorful and vibrant interactive media event presented by USC Visions and Voices: The Arts and Humanities Initiative, and produced by Michael Patterson, Candace Reckinger, and Eric Hanson.